As a writer, do you read as many books as you can get your hands on? When you are stuck on how to write a particular scene, or you can’t get your beginning quite right, do you go to some of your favorite books to see how that writer handled it? If you read like a writer, then you are using mentor texts. Mentor texts are stellar pieces of writing that are used to “mentor” another writer. It’s teacher-speak for a book that a teacher uses as an exemplary example of how to write well. You are a professional writer. Just like athletes who want to become better observe and learn from the pros, young writers should look to your writing as a model. As a teacher, I don’t teach kids how to write from a textbook. I use real examples from books they love. Of course, teachers love to find books that can be used to entice reluctant readers to read. We search for books that tie into our Social Studies and Science curriculums. But we also want to find books that can help us show kids how to write. I’m not suggesting we are looking for how-to books. Teachers are using their favorite books to teach kids how to read like writers. As a writer, you can market your book to teachers to use as a mentor text. We aren’t just looking for an interesting story (although that is VERY important), we are also looking for ways to show kids how you put your story together. How did you use description to make the reader “see” the setting? How did you use shorter sentences to speed up the pace? We want to show students how you stitched your story together. There are hundreds of writing lessons that you could do with a text and each teacher will gear specific skills to his/her state standards and the level of the students. 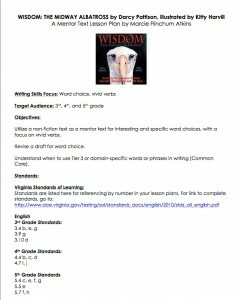 Take a look at the standards for the grade level of your book (Common Core or individual state standards) to see if you can capitalize on your writing strengths and pair it up with what teachers need to teach in the classroom. I teach fourth grade, and in the last month, I have used THE NIGHT FAIRY by Laura Amy Schlitz, SAVVY by Ingrid Law, and OVER AND UNDER THE SNOW by Kate Messner to help students use vivid verbs in their own writing. I used COME ON, RAIN! by Karen Hesse and HEAT WAVE by Eileen Spinelli to show them how sensory words can make their writing better. I find myself going back to some books over and over again because they are full of so many writing gems. For a sample lesson plan, see how I suggested 3-5th grade teachers use Darcy Pattison’s WISDOM, THE MIDWAY ALBATROSS: Surviving the Japanese Tsunami and other Disasters for Over 60 Years. Do you do school visits? Speak at teacher conferences? Have a teacher resource area on your website? These are all good places to market your book to writing teachers and give examples of how your book can be used in the writing curriculum. I have a link on my website that lists books and online resources I like for mentor texts. They are resources for teachers, but they will be helpful for writers to see how teachers use books as mentor texts. You have spent years perfecting your craft of writing. Help teachers not only inspire readers to enjoy your story, but also provide ways they can inspire budding writers in their classroom as well. Market your book as a mentor text for young writers. Marcie Flinchum Atkins teaches fourth graders to write using mentor texts and trains teachers on how to use mentor texts in their classrooms. In the wee hours of the morning, she also writes picture books and novels. 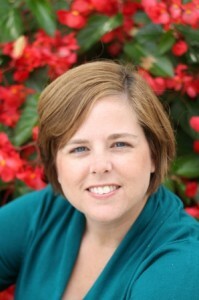 For more resources on mentor texts, check out her website: http://www.marcieatkins.com. Click on the “For Teachers” tab. This is SO timely for me! I’ve just started really digging into this subject, and along comes your juicy post. Thank you, thank you! Marcie really nailed it, didn’t she? Great guest post.